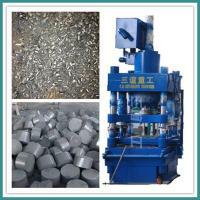 High-density metal scrap briquette machine is mainly used for various metal scrap ( such as iron scrap, copper scrap, aluminum scrap and stainless steal scrap etc. 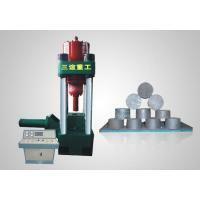 ), granular metal powder ( such as iron powder, aluminum powder, copper powder and lead powder etc. 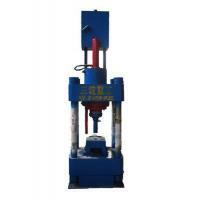 ), metallurgical additives and sponge iron(also be named one-off reduced iron) etc. Without adding any binder, the materials can be pressed into high density cylindrical briquettes with 2-8 kg of weight and density of above 5T/m3. This high-density metal scrap briquetting machine can be applied in aluminum alloy factory, steel plants, aluminum plants, copper plants, auto parts, hardware and other related enterprise of casting. 1. Electrical part using PLC control, strong anti-interference, automatic high degree of operating briefly. 2. Professional using integrated hydraulic valve block and chase by valves, to prevent the oil leakage, reducing the system’s oil temperature, improves the system stability. 3. Rack part of the overall steel castings used to improve the stability and reliability of equipment used in life. 4. 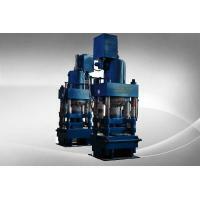 Cylinder using tandem cylinder, increased movement speed and productivity. 5. 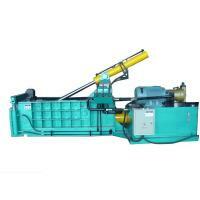 Based on user conditions other automatic feeder, reducing the labor intensity. 6. 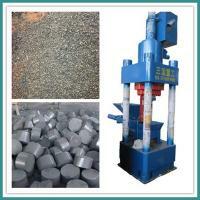 Without any additives in the case, can be a variety of particles, such as sponge iron power press into high density briquettes, direct investment smelting furnace, smelting time and greatly reduces the cost of smelting. 1. 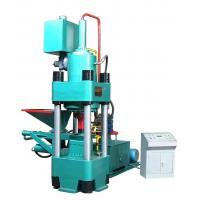 Check if the machine is deformed or damaged in transit. 2. Check if there is loose parts that need to be fastened. 3. Check the oil circuit and the lubrication part to ensure its smooth. 4. 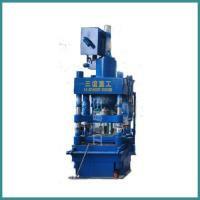 Check to see if each part of the machine is in place. 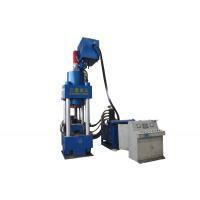 Gongyi Sanny Heavy Industrial Machinery Manufactory is located in Gongyi of Henan province. 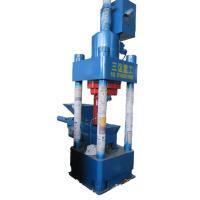 We have occupied in the research and development for many years and are a professional manufacturer, which can produce sponge iron briquette machine, high-density metal scrap briquetting machine, hydraulic briquetting machine, metal powder briquette machine.